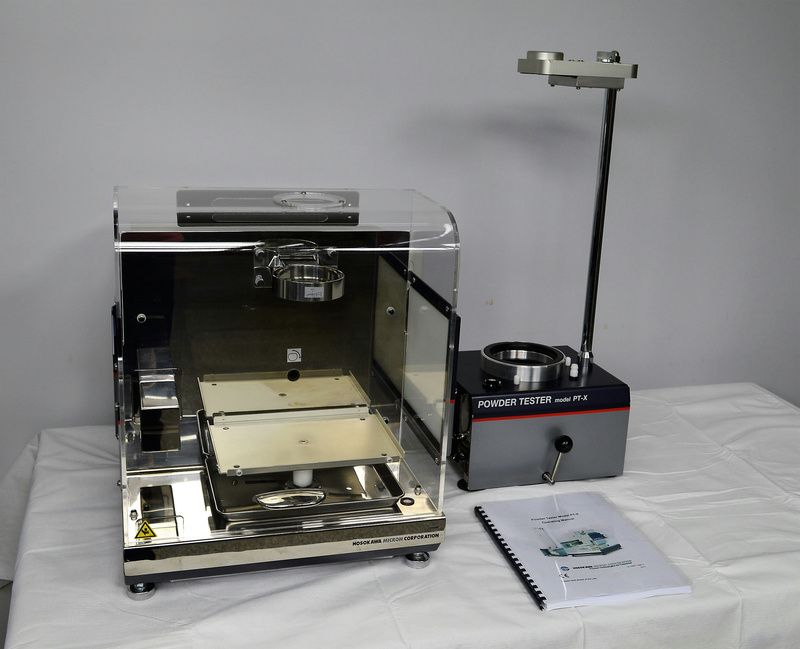 Hosokawa Micron PT-X Powder Characteristics Dispersion Tester Incomplete Carr . New Life Scientific, Inc. The Micron Powder Characteristics Tester PT-X determines the flowability and floodability of dry powders using the Carr Indices. This Hosokawa Micron Corp PT-X Powder Tester is in very good cosmetic condition with only minor wear from normal use and age. According to the manufacturer, this is an incomplete system and the buyer will need to purchase a number of accessories to make it fully functional. We also do not have a computer or software for this system. The required computer is listed below as well as the accessories that will be necessary to use this instrument. Please note that the computer and accessories in the following document is not included with this system but will be needed to make this unit fully operational. The needed computer / accessories for this system can be found in this google drive document. New Life Scientific technicians were unable to test this system as we do not have the software or necessary accessories.